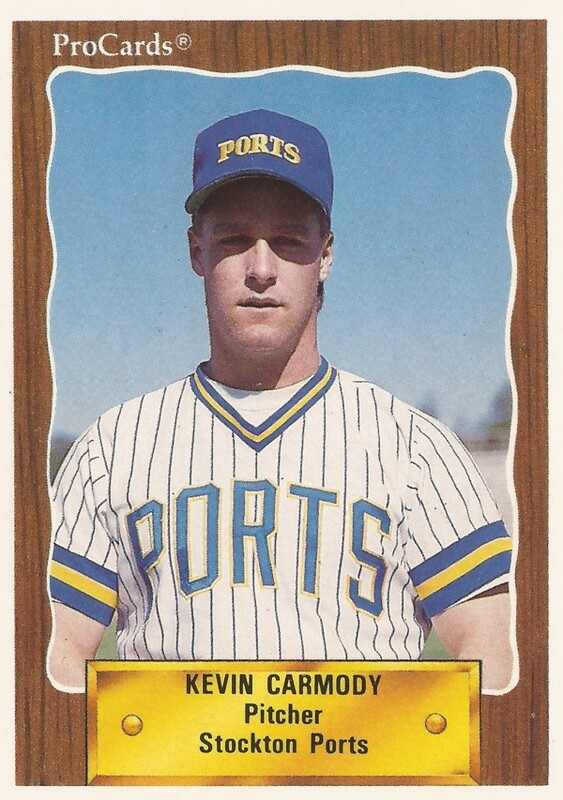 Kevin Carmody's Stockton Ports took an early April win in 1990 and Carmody helped them get it convincingly. Carmody and fellow Stockton hurler Chris Johnson combined for a one-hitter, Carmody taking the relief duties, according to The Milwaukee Journal. Carmody helped seal that win in his third professional season. It also ended up being his last. He never made AA. 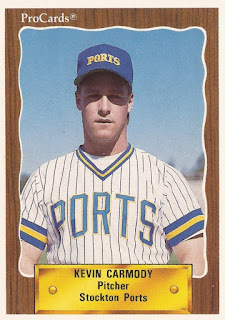 Carmody's career began in 1988, taken by the Brewers in the 25th round of the draft out of North Adams State College. At North Adams, Carmody helped the school's 1987 baseball team take the conference championship and make the NCAA tournament. The school inducted the 1987 squad into its Hall of Fame in 2015. Carmody started with the Brewers in the rookie Arizona League. He got into 13 games, starting four, with a 2.94 ERA. He moved to single-A Beloit for 1989 and he focused on relief. In 40 outings, he started one. He had a 2.74 ERA, picked up three wins and saved five games. Carmody then finished out his career at Stockton in 1990. He had a poor outing in June, giving up four runs in two and two-thirds innings against Palm Springs. He got into 49 games overall, all in relief, with a 5.16 ERA, ending his time as a pro.